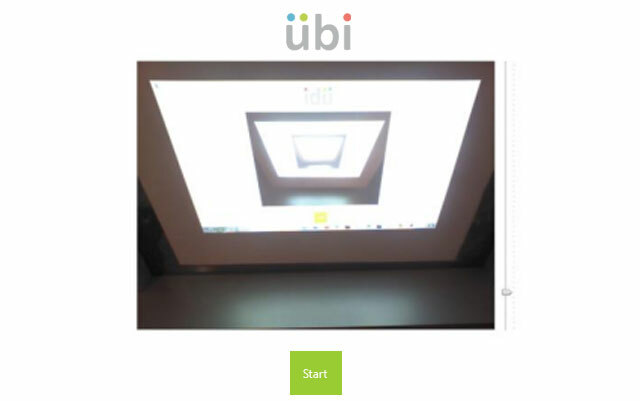 Ubi is a Windows 8 app that uses the Kinect sensor to track your movement and sense when you touch or swipe the projected image on any wall. Projector, Kinect Sensor and Windows 8 Laptop – three hardwares that you need to use Ubi and transform any wall into a touchscreen display. Photo by Ubi Interactive. Any existing LCD projector will work with Ubi so you don’t have to buy a new one. You’re problem now is the Kinect Sensor which will cost you $249 and the Ubi app that costs $149 to $1499 depending on your preferred version. 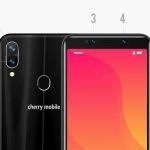 There are two ways to use Ubi, finger mode and hand mode. 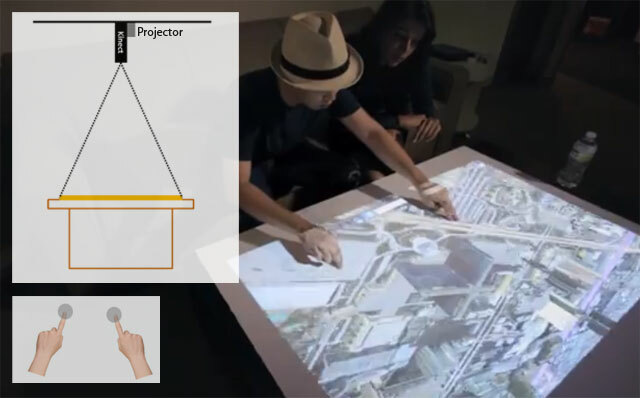 The finger mode allows you to control the display with your fingers but the Kinect sensor needs to be near (0.8 – 1.4 meters) the projected image, ideally at the top facing a display on a table top. Ubi Finger Mode Setup with a table top display from a projector mounted overhead. Ubi will track the tip of your outstretched fingers in this mode. 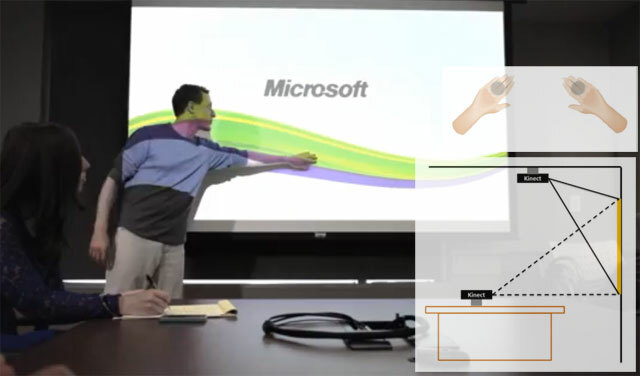 For the hand mode, the ideal set up is a horizontally projected display with the Kinect sensor within 1.4 – 2.2 meters away. 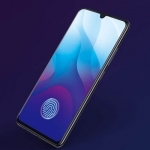 Ubi will track the center of your palm in this mode since its accuracy to track fingers deteriorates as the distance increases. Ubi hand mode setup with a horizontally projected image by an LCD projector mounted at the ceiling of a conference room. Before jumping in and using Ubi, head first to the Windows Store and download the Ubi Toturial app. 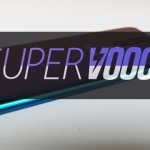 It contains videos that will walk you through the first time that you use Ubi. Adjust the image so that the projected image is fits but also leaves some room for the presenter. Tap the Start button and a calibration process will kick off. You have to do this every time you use Ubi in a different setting. After the calibration, the projected image on the wall of projector screen will now act as if it’s a touchscreen. 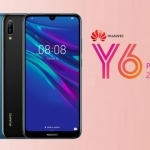 It’s a cool product with many uses and applications like a better corporate presentation, interactive games in seminars and classes and many others. 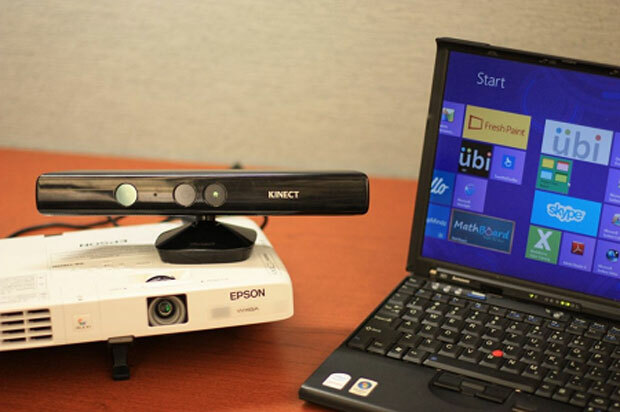 Can you think of other applications of the Ubi software and Kinect for Windows?